Target Market: Peapod wanted to update their brand image to encourage the best potential employees to apply. Strategy: “Putting Food on the Table”. 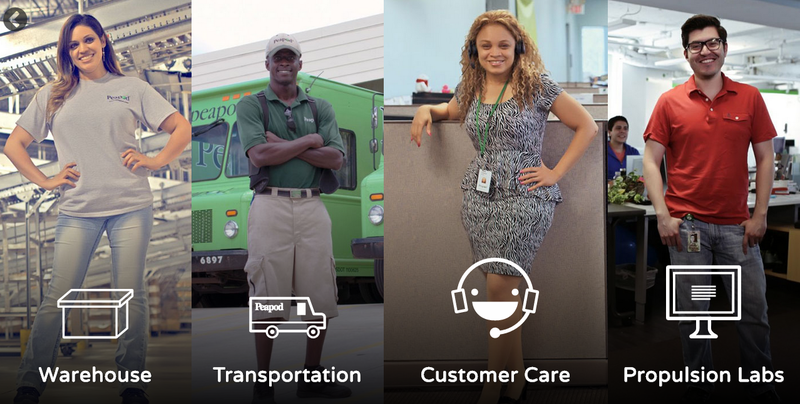 Working for Peapod allows employees to put food on the table for everyday Americans as well as themselves. Execution: After performing on-site research, we determined that there were 4 distinct job categories. Warehouse. Transportation. Customer Care. Propulsion Labs. Since each category attracts a differently suited employee, we created videos with employee testimonials along with scenes from their work environment in order for potential employees to gain an immersive experience and find out which department is best suited for them.